Hey guys😍, its a new month. Yaaay, fourth month in the year 2018 and I am as excited as you are. April 1st Aka fool's day is also Easter day this 2018. While some are greeting happy new month, Christians will say happy Easter, and some pranksters will say happy April fools day (don't allow anyone make a fool of you). 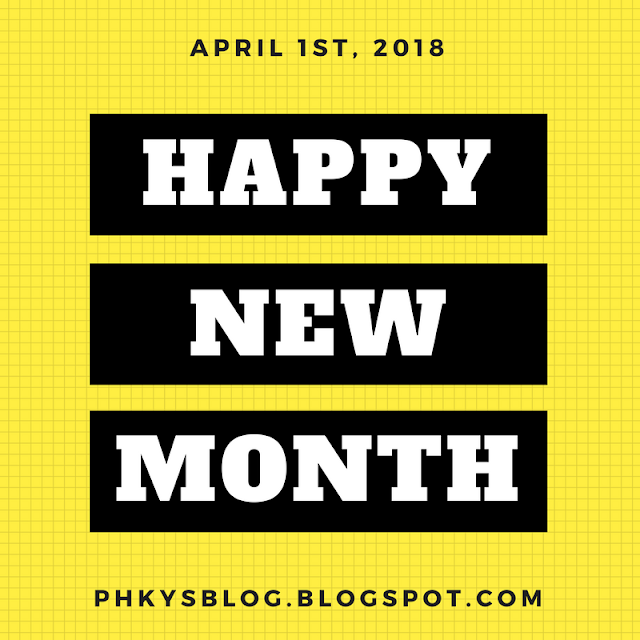 May this new month bring you a 1000 folds of blessings than the three previous months. May God bless you with the gift of health, vitality and happiness. God is God all by himself. Happy Easter, readers. God loves you more than you could ever imagine. There are just 30 days in this month, make each day count and worthwhile. Yes, you can. Enjoy the month and Stay Winning!!! Happy April to everyone reading this I wish you a prosperous month.. Thank you. Wishing you the same. Enjoy! !